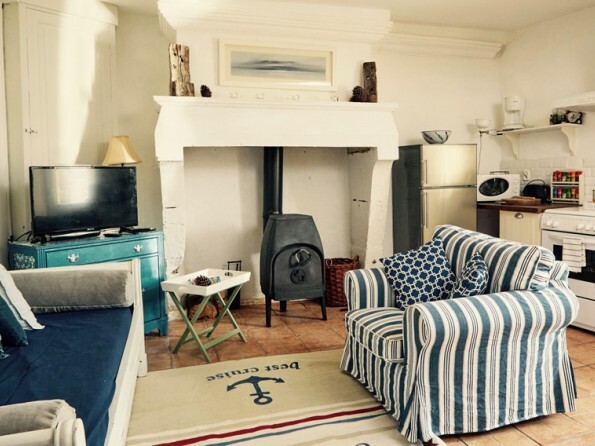 4 Star cottage sleeping up to 6 people 25% until the end of April. 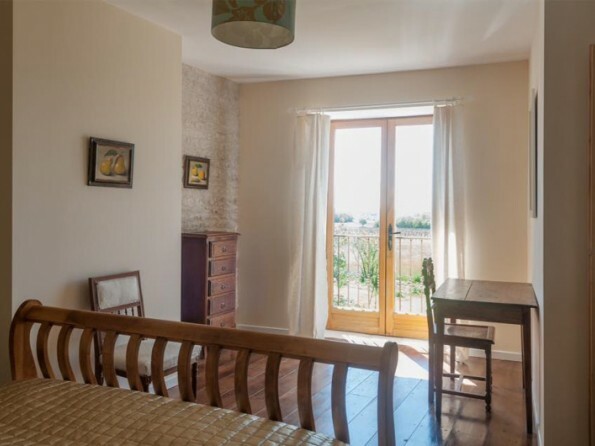 Equates to 100 Euros per night for the whole cottage. 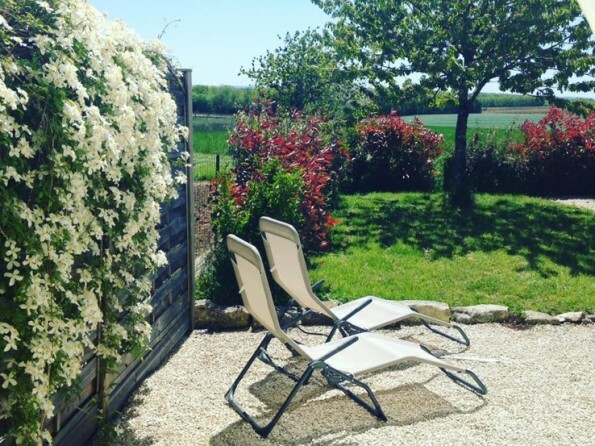 Chez Aristide is one of three beautiful gites in the the heart of the Charente in France. 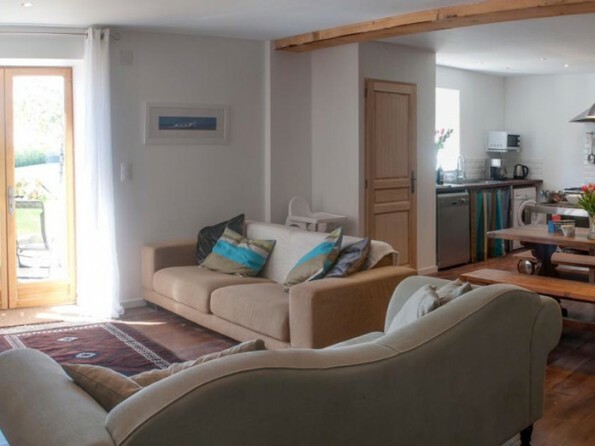 Set in a former Priory, the award winning Courtyard is wonderfully family friendly, has a swimming pool, is surrounded by sunflowers and vineyards, and has home cooked meals available on site. The owners bought The Courtyard in 2004 and the buildings were virtual ruins. Originally, the Courtyard was the former pilgrims lodgings of the Priory of Ste Catherine de La Champion on the pilgrims route of Santo de Campostela. It is set in a nature reserve with many rare species of birds of prey. The Priory provided the kitchens, refectory and dormitories for the monks and also offered refuge to pilgrims on their long journey south to Santiago de Compostela in Spain. Despite the rural location there is everything that you could need on a daily basis just two minutes away in Rouillac – a pretty village which dates from before Roman times and is still host to one of the oldest and largest farmers markets in France on the 27th of each month. 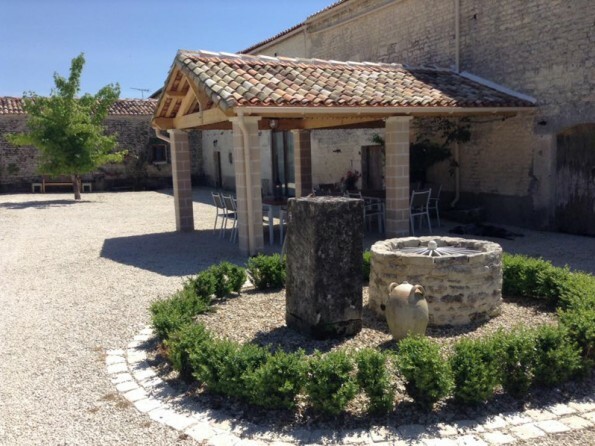 The Courtyard is surrounded by sunflowers and vineyards with most of the grapes being sold directly to the Courvoisier Cognac house in Jarnac. There are wonderful views to the south – ideal inspiration for photographers and artists. 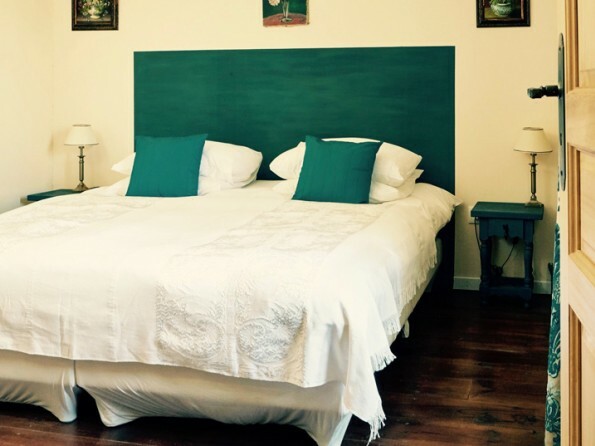 There are three accommodation options on site - Chez Aristide is the largest of the three at 105m2 and is in the former pilgrim’s lodgings. There are three bedrooms and two bathrooms. The master bedroom is king size and has a juliet balcony with south facing views. The second bedroom can be either a king or a twin and overlooks the courtyard. 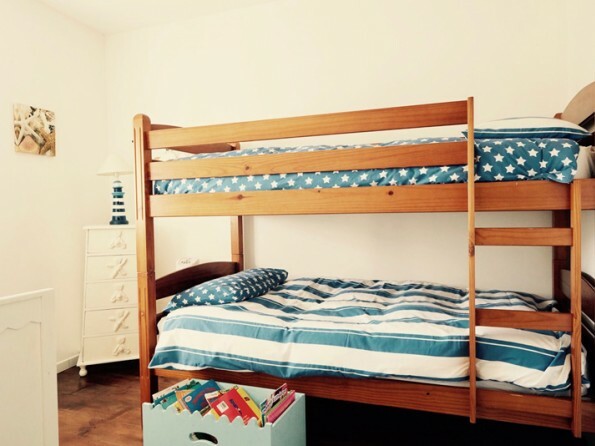 The children’s room has a seaside theme with bunks and a cot. 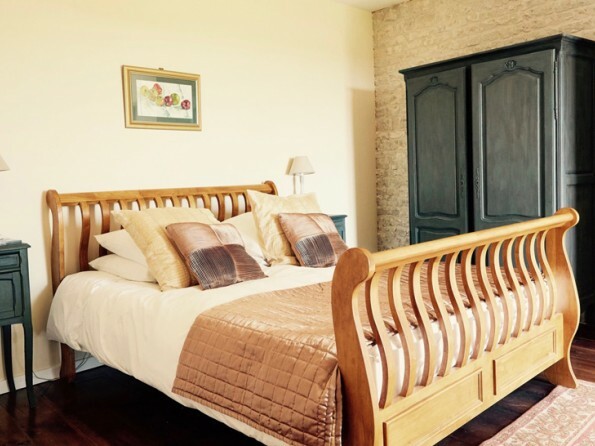 There is a family bathroom upstairs and a shower room downstairs.There’s a well equipped open plan kitchen, an antique refectory table with bench seating, two large sofas, flat screen HD TV with DVD and iPod docking, freesat TV and Wifi. There are two other houses on site. La Maison Cachee is a traditional cottage, formerly the kitchen of the priory refectory with a massive stone fireplace dating to 1786 and is tucked away next to the main house. 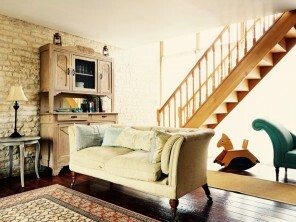 This cottage can accommodate two adults and two children in a family suite, (formerly the grain store). Chez Coco is a stylish and quirky house on the south side of the Courtyard in the pilgrims lodgings, which sleeps up to four and a baby in two ensuite bedrooms, this cottage has a massive 3 metre high window. In the summer the thick limestone walls keep the buildings’ interiors cool, whilst in winter they retain the heat from the wood-burning stoves to keep you cosy. French doors in the living room lead out onto the south facing terrace and garden. There is ample seating, a shade sail, cherry tree and BBQ, and you are just ten seconds from the pool area! You are guaranteed to enjoy just sitting outside and enjoying the sounds of the local birdlife and wildlife - there are collared doves, woodpeckers, red backed shrikes and buzzards, kestrels, goss hawks amongst others. We often see bats and always look forward to a visit from a beautiful, silent barn owl in the evening. The nights sky is amazing here. We are in a nature reserve and you will spot many species of of bird which are on the endangered list in the UK, bring your binoculars! If you are out early enough in the morning you will also see deer and hares. The heated pool is open from May to September. You can also book yourself onto a painting course here at The Courtyard. The British landscape artist Simon Stooks is artist in residence and runs painting courses for small groups on set dates. Photography lessons and even portrait sessions are available with Ian Wallace. So if you want to get them most from your camera or organise that family portrait session you have been putting off now is the time. 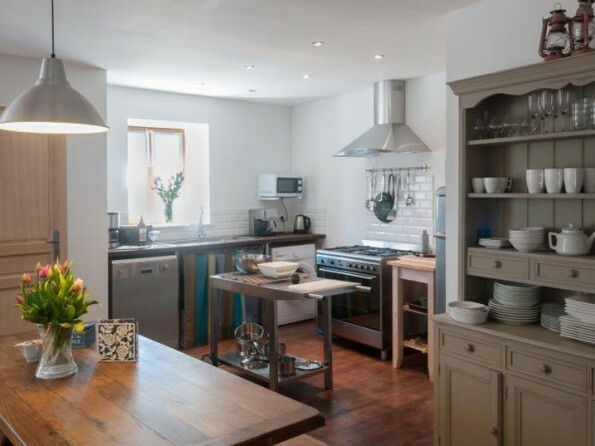 The famous food writer Louise Pickford; editor of over 30 cook books and former food editor of Grazia Magazine runs cookery courses from her home 40 minutes away and on site here at the courtyard. Enquire at the time of booking for which dates and which courses or running. In high season (June, July and August) bookings are a minimum of a week and changeover day is Saturday. Changeover day is flexible during other times of year and there is a three night minimum stay. Weekly prices range from €500 to €1295 for Maison Cachee, €700 to €1595 for Chez Coco, and €700 to €1795 for Chez Aristide. Prices include all linens, bath towels, WIFI, Private Parking, end of stay cleaning and concierge service. Couples rates are available for under occupancy outside June, July and August. Breakfast Basket delivery €14 pp. Table D’hote €35 pp.